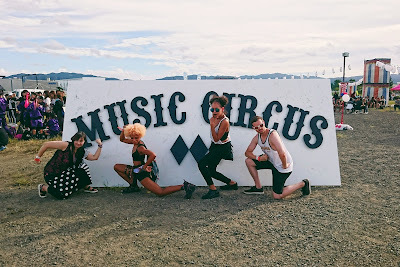 While hanging out with some friends, I was informed that Music Circus, an annual EDM festival, was letting non-Japanese attendees in for free. Not one to pass up a little free, I snatched up a ticket for myself, a few for my friends, and set out to have a rather intoxicated afternoon. Music Circus is a dance music festival that takes place in Tokyo and Osaka every year. This event features famous DJs from all over the world (this year's headliners were AFROJACK and Nicky Romero) as well as famous Japanese DJs and producers (Nakata Yasutaka played a set this year!). 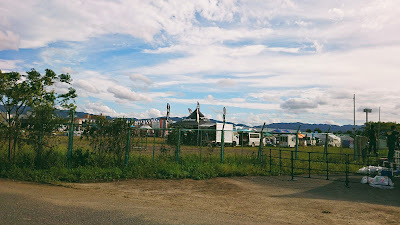 Board the Semi-Express Nankai Train bound for Wakayama City or the Rapid to Nankai Izumisano Station, then change to to the local or Semi-Express for Nankai Tarui Station. The rapid route is only 10 minutes faster. Though the venue is 1.5 hrs outside of Osaka City, it's fairly easy to find if you follow the young people dressed for a music festival. Also, you'll have to walk 10-15 minutes to the venue, so wear comfortable shoes! Food and drinks are served with tickets and cash. You do get a set of tickets with your 1000 yen drink fee (separate from the ticket fee), but once those run out, using cash is fine. If you want to drink alcohol, be sure to bring your ID so you can get a wristband. 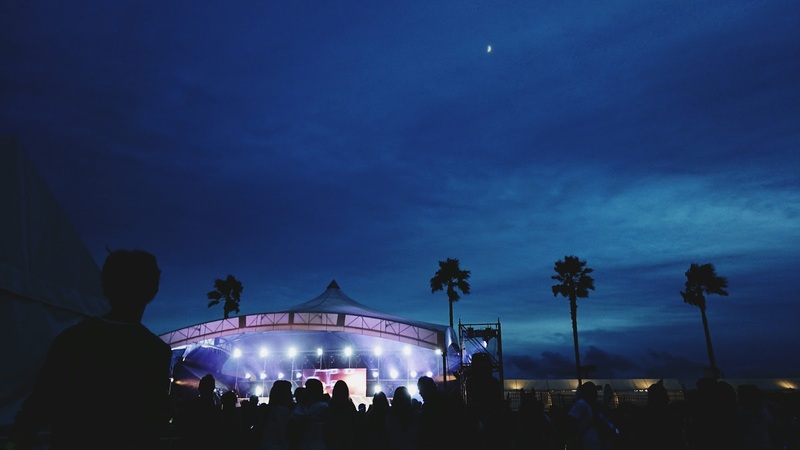 Also, this year, non-Japanese attendees were able to enter the event for free except for the 1,000 yen drink purchase. That's a pretty good deal to see some of the biggest DJs in Japan. 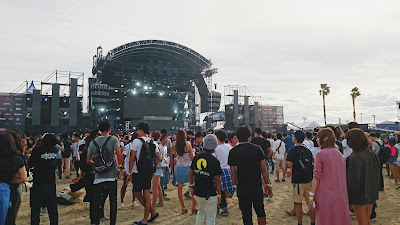 The only other music festival I've ever been to is Summer Sonic ('11 and '12), so trying to compare the rock vibe of SS to the dance music scene at EDM would really be an exercise in futility, but I can say that the people at this fest seem more laid back. At SS, it's a bit of a rush trying to see bands as there are a LOT of stages and good international acts tend to overlap (while Japanese acts seem to get better timetables). 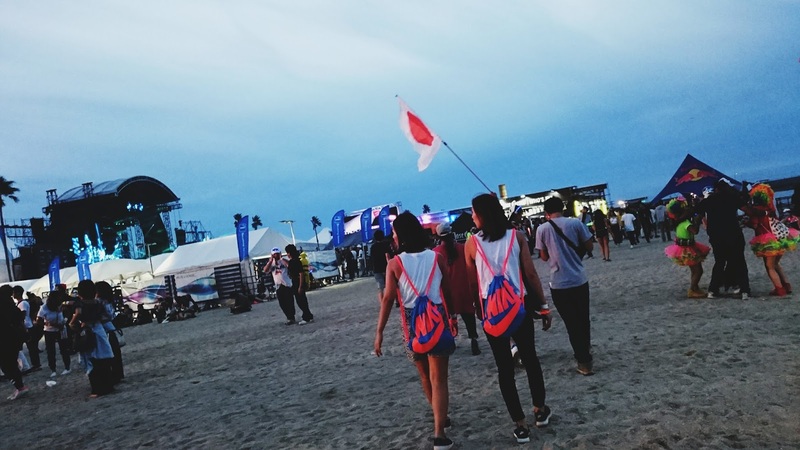 At MC, it was easy to bounce between the two main stages and even the food and drinking areas. The bathrooms aren't the cleanest and the line the ladies fluctuates like crazy. If you think you gotta go, and the line is short, GO.